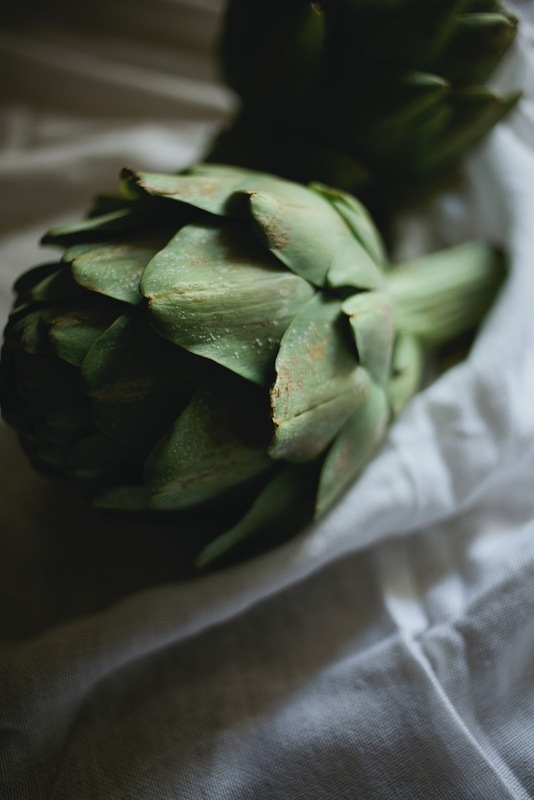 ...And for those of you who don't know how to cook an artichoke, here's a little help! 1. 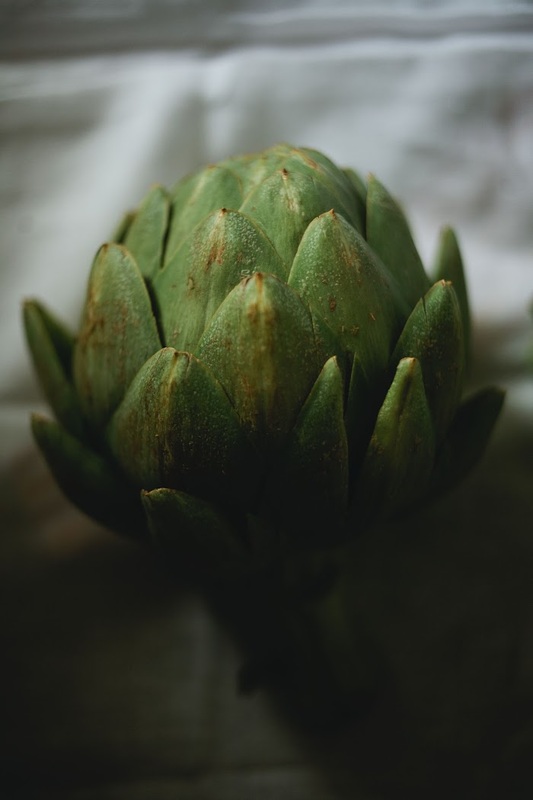 Snip the tip of each leaf, and then cut the tip of the entire artichoke to remove all of the spikey parts. 2. Fill up a large pot with a few inches of water, add a bay leaf, lemon slices, and a few cloves of garlic. 3. Rinse off the artichokes in cold water. 4. 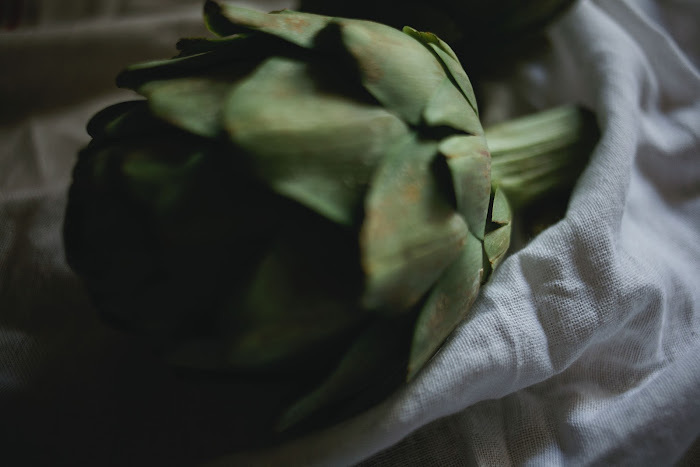 Insert a steaming rack and add in the artichokes. 5. Bring to boil and then reduce heat to simmer. Cook for 30-45 minutes. 6. Enjoy with dip or melted butter! 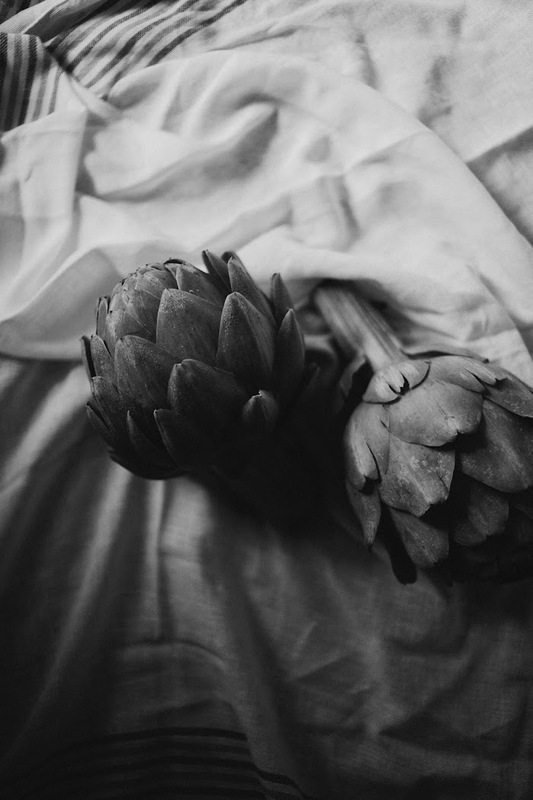 I love the lighting on those artichokes. I should take more advantage of the cold blue light since it's like that for six months of the year in Van. i enjoy these darkish photos. the coloring is really nice. 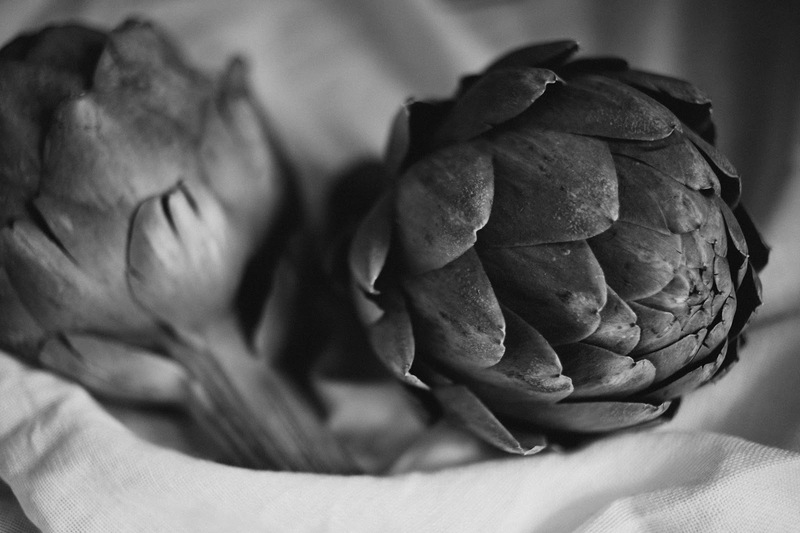 and you make me want to eat an artichoke - bravo.